The highly-anticipated San Diego Comic Con is right around the corner and we seriously cannot contain our excitement. There will be tons of panels, an endless amount of fun activities and surprises at every corner. 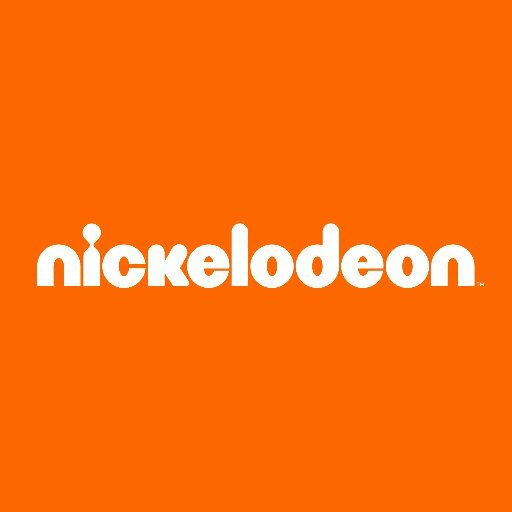 Needless to say, one of everyone’s favorite networks, Nickelodeon, has a bunch of spectacular panels and activities in store for attendees to enjoy at the 2018 San Diego Comic Con. Nickelodeon will be bringing fan-favorite icons together at its 1,800 square-foot booth at the convention floor. The network will bring attendees to the City That Never Sleeps as it celebrates its new, reimagined series, Rise of the Teenage Mutant Ninja Turtles as well as let fans enjoy the legendary Double Dare hamster wheel, a larger than life Reptar from Rugrats and many other thrilling activations. Select fans will also be able to be a part of a virtual reality experience like no other as Nickelodeon will be offering a “Rise of the Teenage Mutant Ninja Turtles Live” virtual reality experience where San Diego Comic Con guests will be immersed into the Teenage Mutant Ninja Turtles’ New York City world and have a conversation with either Mikey or Donnie, voiced live on the scene by Brandon Mychal Smith and Josh Brener, respectively. This is definitely an experience that SDCC guests will never forget! According to the press release, “Each day of the Comic-Con International convention, Nickelodeon’s booth will feature: a towering New York City cityscape, featuring the bright lights, energy and iconic billboards of Times Square; a hidden Turtles lair, housing a gif opportunity; the Double Dare hamster wheel, where fans can take photos with the iconic obstacle course challenge; a photo opportunity with life-size characters from The Loud House; a 23-foot-tall, Reptar hovering above a retail area; INVADER ZIM-themed transaction zone, featuring exclusive Nick-themed collectibles and custom t-shirts and totes; costumed-character appearances; and autograph signings with the voice casts and creators from Rise of the Teenage Mutant Ninja Turtles, INVADER ZIM, SpongeBob SquarePants and more. It’s clear to see that Nickelodeon put in a tremendous amount of effort to make the San Diego Comic Con experience an unforgettable one for all who will be attending. There will be tons of awesome photo-opportunities and so many memories that will be made thanks to Nickelodeon’s exceptional line-up at SDCC. Check out the full list of panels and activities that Nickelodeon will be offering at this year’s San Diego Comic Con below! Also, be sure to check out the Rise of the Teenage Mutant Ninja Turtles official theme song below. Comment below and tell me or tweet me at @alexisjoyvipacc, will YOU be attending San Diego Comic Con this year? Which one of Nickelodeon’s activations at SDCC are you looking forward to the most? Thursday, July 19, 1:45p.m. – 2:45p.m. (Room: 6A): Rise up! The Teenage Mutant Ninja Turtles are back with Nickelodeon’s brand-new mutation of New York’s half-shell heroes with a panel that celebrates the latest incarnation of Turtles and reinvention of the world famous franchise. Joining the discussion is the new voice cast–Omar Miller as Raph, Ben Schwartz as Leo, Josh Brener as Donnie, Brandon Mychal Smith as Mikey, Kat Graham as April O’Neil, and Eric Bauza as Splinter–along with the co-executive producers Andy Suriano and Ant Ward, and legendary voice director Rob Paulsen. The panel will feature never-before-seen clips from the upcoming series and will be moderated by Keely Flaherty (BuzzFeed). Previous VIPAccessEXCLUSIVE: Tayler Holder Interview With Alexisjoyvipaccess At The “Chicken Girls: The Movie” Premiere! Next VIPAccessEXCLUSIVE: Sean Cavaliere Interview With Alexisjoyvipaccess At The “Chicken Girls: The Movie” Premiere!